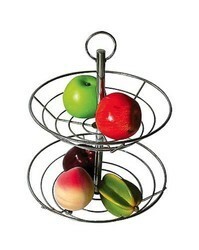 We offer fine quality stainless steel fruit basket in bright colours and droop design at an affordable price. Although available in blue, red, green and off-white colours, we even offer you the colour of your choice. - Made From High Grade Stainless Steel Material. - Ideal for Dinning Table for Storage of Vegetable & Fruits. 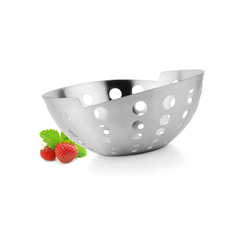 Matching up with the ever increasing requirements of the customers, our company is engaged in providing Stainless Steel Fruit Basket. We provide S.S. Fruit Basket that is available in varied specification. Designed in compliance with international quality standard, these baskets are capable of storing large quantity of fruit and vegetable efficiently. These can be tailored as per the requirement of clients.